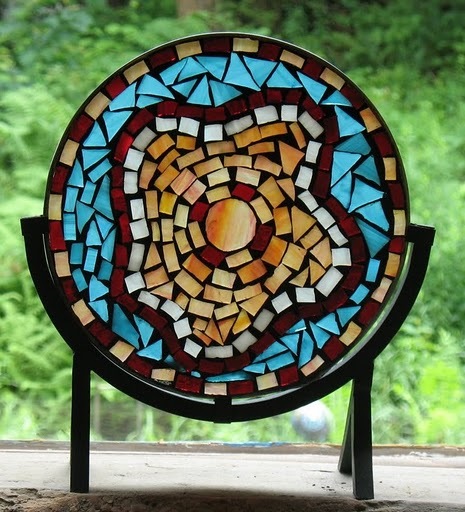 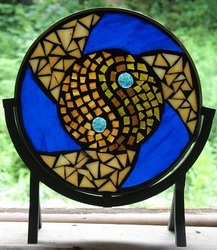 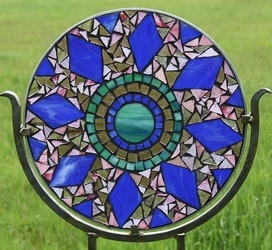 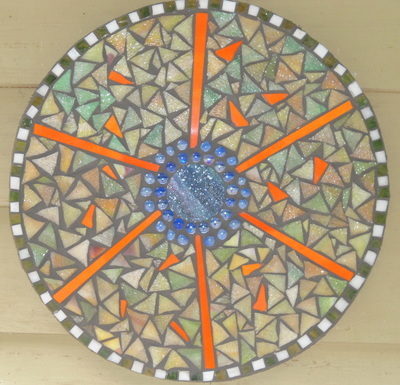 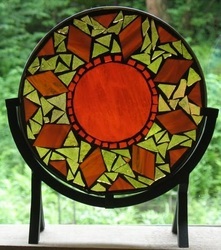 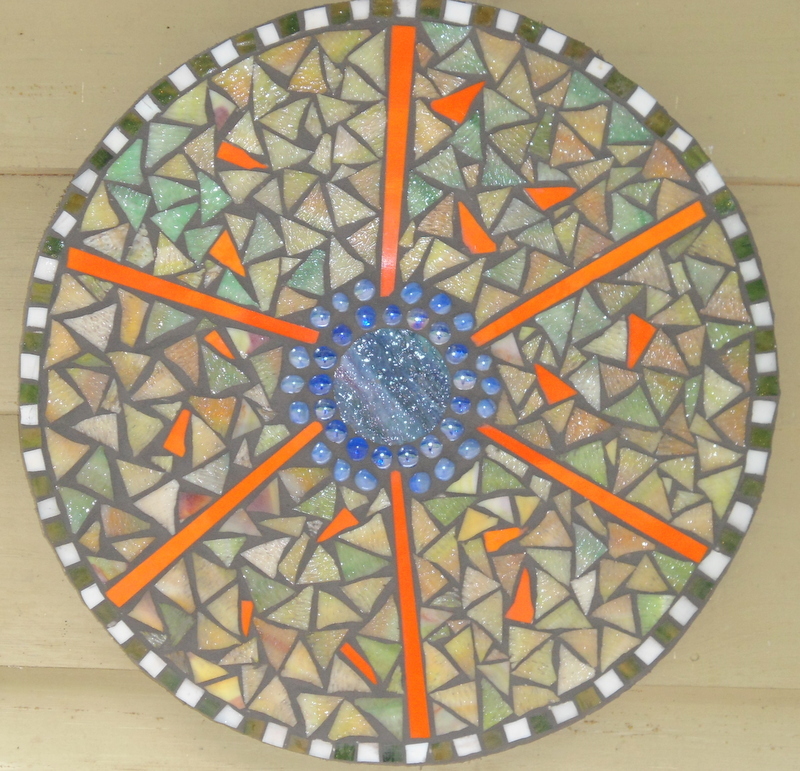 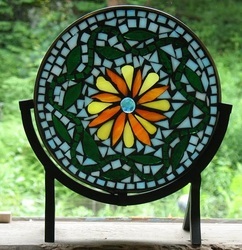 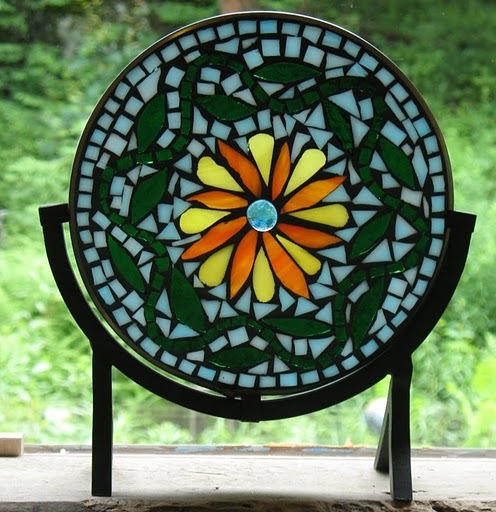 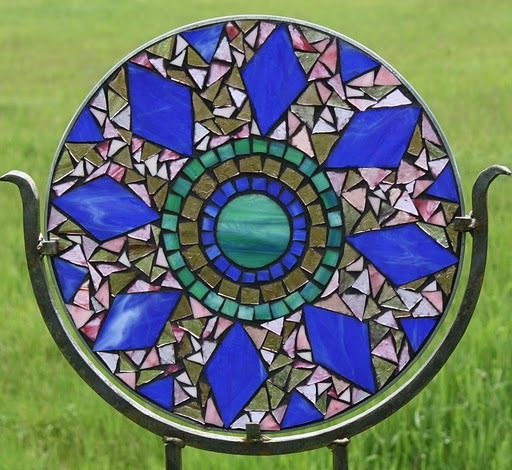 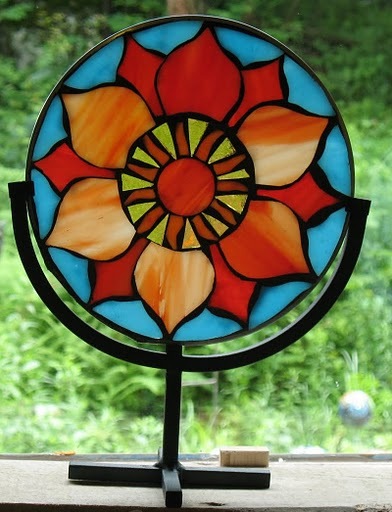 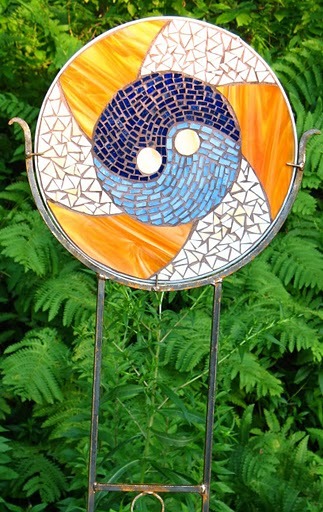 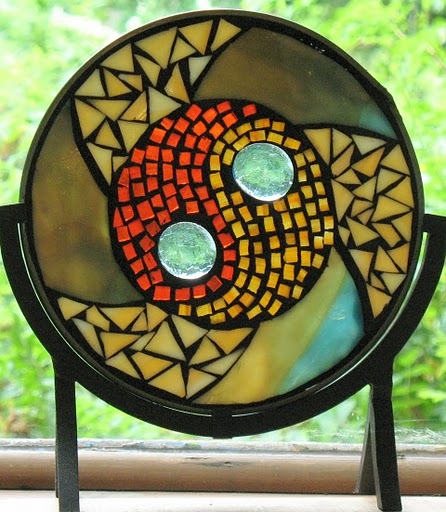 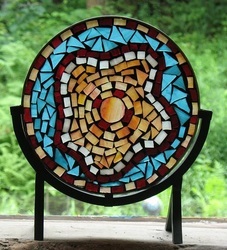 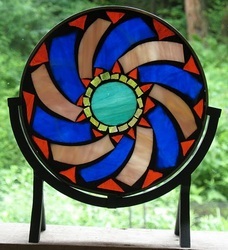 These mosaic mandalas come in 2 sizes: 14'' diameter with a 4 ft iron stand - for the garden ! 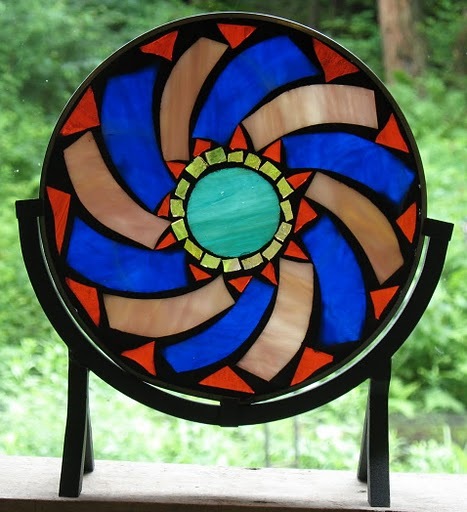 The smaller mandala is 8'' in diameter and also comes with its own metal stand - for your home ! 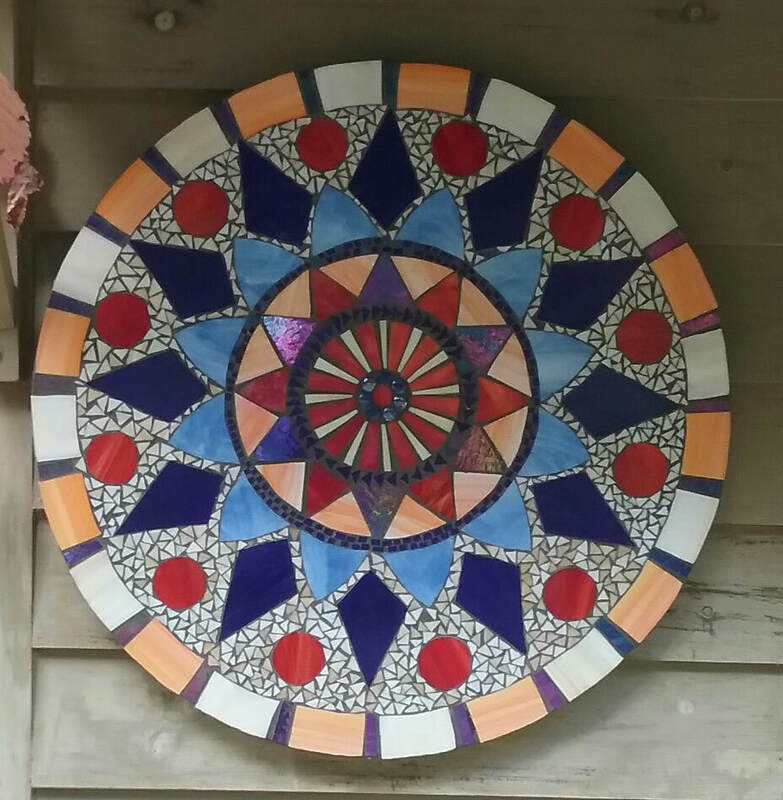 Don't forget to bring the large mandala indoors in the winter. There are many more mandala designs and sizes. I also do mandalas for the exterior of your home - which can be left out all winter!